These charges arose from a scheme in which the defendants filed more than 200 tax returns claiming first-time homebuyer tax credits to which the named taxpayer was not entitled. The tax refunds, including the falsely-claimed credit, were then deposited into one of 17 bank accounts owned or controlled by a member of the Laws family. The total amount of the refunds fraudulently claimed was $1,730,086, and the total amount of the refunds issued was $1,364,171. On appeal, the defendants made several claims. I discuss only the claims that I think are noteworthy. The crimes of conviction were Title 18 crimes. 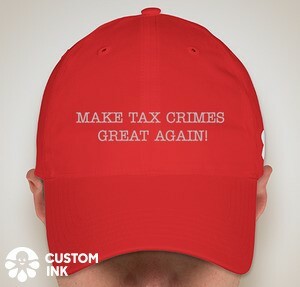 Normally, Title 18 crimes related to tax misconduct are sentencing under the tax guidelines. DOJ Tax's position is that sentencing for the crimes of conviction here should be under the Tax Guidelines. CTM 22.09 Sentencing Guidelines Considerations, here. In this case, the defendants were sentenced under the fraud guidelines in § 2B1.1(b). There is no discussion about the appropriate guideline, so it is not clear that the sentence would have been materially different whichever of the guidelines applied. (B) Sophisticated Means Enhancement under Subsection (b)(10)(C).—For purposes of subsection (b)(10)(C), "sophisticated means" means especially complex or especially intricate offense conduct pertaining to the execution or concealment of an offense. For example, in a tele­marketing scheme, locating the main office of the scheme in one jurisdiction but locating soliciting operations in another jurisdiction ordinarily indicates sophisticated means. Conduct such as hiding assets or transactions, or both, through the use of fictitious entities, corporate shells, or offshore financial accounts also ordinarily indicates sophisticated means. The first sentencing enhancement Laws challenges is the 2-level sophisticated means enhancement under USSG § 2B1.1(b)(10)(C). That enhancement applies when the offense involved "especially complex or especially intricate . . . conduct." USSG § 2B1.1(b)(10)(C), Application Note 9(B) (2013). The relative sophistication of a scheme of fraudulent conduct is "viewed in light of the fraudulent conduct and differentiated, by assessing the intricacy or planning of the conduct, from similar offenses conducted by different defendants." United States v. Hance, 501 F.3d 900, 909 (8th Cir. 2007). Thus, for the enhancement to apply, the government must show that the offense conduct at issue was notably more complex or intricate than the garden-variety version of that offense. Id. The question is not whether the offense is generally considered a sophisticated one—for instance, securities fraud as compared to simple assault. Rather, the question is whether the particular offense conduct was more than usually sophisticated when compared to the offense in its basic form. Id. at 909-11 (holding that renting a post office box under an assumed name and using that box to carry out a fraud scheme was not distinguishable "from the multitude of other mail fraud cases"). Here, the district court concluded that the "repetitive and coordinated conduct" involved in the offense made its means sophisticated. Even if any single part of the offense was not particularly complicated, "repetitive and coordinated conduct can amount to a sophisticated scheme." United States v. Sethi, 702 F.3d 1076, 1079 (8th Cir. 2013) (quoting United States v. Fiorito, 640 F.3d 338, 351 (8th Cir. 2011)). Importantly, however, mere repetition is not sufficient to make an offense sophisticated. Instead, the sophistication of the offense conduct is associated with the means of repetition, the coordination required to carry out the repeated conduct, and the number of repetitions or length of time over which the scheme took place. See, e.g., Fiorito, 640 F.3d at 351 (scheme required coordinating sale or refinancing of multiple homes, took place over the course of three years, and involved at least 11 victims); United States v. Bistrup, 449 F.3d 873, 883 (8th Cir. 2006) (scheme required repeatedly lying to victims, was maintained by using later-acquired funds to make partial payments to earlier victims, required the use of multiple financial accounts, and took place over almost five years); United States v. Finck, 407 F.3d 908, 915 (8th Cir. 2005) (scheme to obtain vehicles required obtaining multiple false confirmations that money had been transferred and coordinating sale of multiple vehicles in different states). The government argued, in support of the enhancement, that the offense in this case involved opening and closing over 20 bank accounts for the purpose of receiving fraudulent refunds; filing tax returns without a preparer name listed; filing tax returns listing false addresses, "which made it difficult to verify information with the victims"; using P.O. boxes to receive tax refunds and correspondence; and filing over 200 fraudulent returns. See USSG § 2B1.1(b)(10)(C), Application Note 9(B); Hance, 501 F.3d at 910; Fiorito, 640 F.3d at 351; United States v. Huston, 744 F.3d 589, 592 (8th Cir. 2014). Tax fraud is generally a sophisticated offense, and any single one of the aggravating factors here may not be sufficient to elevate the offense conduct beyond the ordinary version of the offense. Moreover, we are not convinced that the mere repetitive conduct as it played out in this particular case rendered it sophisticated. But in combination, the multiple bank accounts, the use of multiple P.O. boxes, the filing of returns with no preparer listed, and the filing of returns listing false addresses demonstrates a carefully-considered attempt to conceal the nature of the scheme, to make identifying its multiple perpetrators more difficult, and to partially obscure the identity of the victims. See USSG § 2B1.1(b)(10)(C), Application Note 9(B). This, combined with the fact that at least six people were involved in executing the scheme and collectively managed to file more than 200 fraudulent returns claiming over $1.7 million in refunds, makes the offense conduct in this case "notably more intricate" than the garden-variety conspiracy to defraud the United States or false claim to the IRS. See Hance, 501 F.3d at 910. Accordingly, we conclude that the district court did not err in applying the sophisticated means sentencing enhancement to Brenda Laws. On the fourth day of trial, Milton Laws moved to suppress statements he made to an IRS agent at his mother's home, while a search of the home was being executed. Specifically, Laws asserted that he was handcuffed, and therefore in custody, at the time he was interviewed by the IRS agent. After a hearing, which began that same day, the district court granted Laws' motion to suppress. Two days later, the government moved for reconsideration and, at a second hearing, presented the testimony of nine additional witnesses. After this hearing, the district court issued a thorough written decision discussing the evidence presented and applying the appropriate legal test to determine whether Laws was in custody at the time of his interview. The district court found that while Laws had been handcuffed when his pockets were searched, he was subsequently uncuffed and told that he was free to leave before he was interviewed by the IRS agent. n3 The court concluded that Laws had not been in custody at the time he made the statements and, this time, denied his motion to suppress. Laws argues that the district court abused its discretion in granting the government's motion to reconsider, and clearly erred in finding that he was not in custody when he made the statements to the IRS agent. n3 The district court's findings suggested that some of the confusion stemmed from a difference in policy between the IRS, whose agent testified that use of handcuffs was very uncommon during the execution of IRS search warrants, and the Pine Bluff Police Department, who assisted in the execution of the warrant and whose officer testified that use of handcuffs was their standard procedure in executing drug-related warrants. For some reason, many of the police officers who assisted in the execution of the warrant were officers from the Vice and Narcotics Unit. We review the district court's decision to reconsider its ruling on the suppression issue for abuse of discretion. United States v. Hayden, 759 F.3d 842, 845 (8th Cir. ), cert. denied, 135 S. Ct. 691, 190 L. Ed. 2d 400 (2014). The standard that the district court is required to apply in making that decision, however, is not established in this circuit. See id. at 846. There are two basic standards in use in other circuits: while some require the government to justify its failure to present relevant evidence at the original suppression hearing, others have declined to impose a justification requirement and have instead prioritized the introduction of lawfully obtained evidence. Compare United States v. Allen, 573 F.3d 42, 53 (1st Cir. 2009); United States v. Kithcart, 218 F.3d 213, 219-20 (3d Cir. 2000); United States v. Dickerson, 166 F.3d 667, 678-79 (4th Cir. 1999), rev'd on other grounds, 530 U.S. 428, 120 S. Ct. 2326, 147 L. Ed. 2d 405 (2000); United States v. Villabona-Garnica, 63 F.3d 1051, 1055 (11th Cir. 1995); McRae v. United States, 420 F.2d 1283, 1286-88, 137 U.S. App. D.C. 80 (D.C. Cir. 1969) with United States v. Rabb, 752 F.2d 1320, 1323 (9th Cir. 1984), abrogated on other grounds by Bourjaily v. United States, 483 U.S. 171, 181, 107 S. Ct. 2775, 97 L. Ed. 2d 144 (1987). Under either standard, we conclude that the district court did not abuse its discretion in reopening the suppression issue. Laws' initial motion to suppress was untimely, raised on the fourth day of trial. The initial suppression hearing began that same day, giving the government little or no time to prepare its response to Laws' allegations. The government filed its motion to reconsider only two days after the court's initial ruling, and cited specific evidence bearing directly on the question of custody that had not been presented to the court at the first hearing. A time period of two days to gather and interview nine witnesses, while trial was ongoing, is not excessive, and the government may not reasonably have been able to gather that evidence in the time between the filing of Laws' suppression motion and the court's ruling. Even under the more stringent standard, the government provided sufficient justification for its failure to present all relevant evidence at the first hearing on Laws' belated motion to suppress. Under these circumstances, the district court did not abuse its discretion in granting the government's motion to reconsider its prior ruling and reopen the suppression issue. Cf. United States v. Chavez Loya, 528 F.3d 546, 555 (8th Cir. 2008). We now proceed to our substantive review of the court's denial of Laws' motion to suppress. We review the district court's factual findings for clear error, and its legal conclusions de novo. Chavez Loya, 528 F.3d at 552. Laws does not identify any clear error in the factual findings underlying the district court's ruling. In fact, the court resolved the bulk of the disputed factual issues in Laws' favor, finding—contrary to the testimony presented by the government—that he was in fact handcuffed at some point during the execution of the search warrant. Rather, Laws argues that the district court erred in concluding that, given the facts and circumstances of his interview with the IRS agent, a reasonable person would not have understood himself to be in custody. (1) whether the suspect was informed at the time of questioning that the questioning was voluntary, that the suspect was free to leave or request the officers to do so, or that the suspect was not considered under arrest; (2) whether the suspect possessed unrestrained freedom of movement during questioning; (3) whether the suspect initiated contact with authorities or voluntarily acquiesced to official requests to respond to questions; (4) whether strong arm tactics or deceptive stratagems were employed during questioning; (5) whether the atmosphere of the questioning was police dominated; or, (6) whether the suspect was placed under arrest at the termination of the questioning. Id. at 1349. The district court found that Laws had been handcuffed before his interview, that he did not initiate the interview, that the atmosphere of the house was dominated by law enforcement, and that the occupants of the house were not free to move around without being accompanied by police. The district court also found that Laws was not arrested at the end of the interview, and that the interview lasted only ten minutes. Most importantly, the district court found that an IRS agent advised all occupants of the house, including Laws, that they were free to leave after Laws was uncuffed and before he made any statements to one of the agents. Based on these factual findings, the district court did not err in finding that Laws was not in custody when he made the statements he seeks to suppress. Though here the second, third, and fifth Griffin factors weigh in favor of custody, an explicit advisory that an individual is free to leave generally "weigh[s] heavily toward a finding of non-custodial status." United States v. Elzahabi, 557 F.3d 879, 884 (8th Cir. 2009). Laws was handcuffed for a period of time before being told that he was free to leave. He was not personally advised of his right to leave, but rather was generally advised along with all other occupants of the house that they were free to go. These factors make this a closer case for custody than those situations where a suspect is specifically, personally, and repeatedly advised of their right to end the encounter with law enforcement. See id. ; United States v. Czichray, 378 F.3d 822, 826 (8th Cir. 2004). Nevertheless, we have held more than once that an "explicit assertion that the defendant may end the encounter . . . . generally removes any custodial trappings from the questioning." Elzahabi, 557 F.3d at 884 (quoting United States v. Ollie, 442 F.3d 1135, 1138 (8th Cir. 2006)). Here, the district court found that Laws was so advised. The court's finding was not clearly erroneous, and we accordingly conclude that Milton Laws was not in custody at the time of his interview with the IRS agent. The district court properly denied Laws' motion to suppress. Note that there is no express indication that the standard IRS CI reading of noncustodial rights was given, but certainly, apparently, there was sufficient notice to the defendant of the substance of those rights. 26 statutes traditionally used in tax prosecutions that involve fraudulent refund schemes. fictitious income tax returns claiming refunds of income tax in the same year, particularly when the defendant personally received and retained some or all of the proceeds. Many false refund claim cases could also be charged using 26 U.S.C. § 7206(1) or (2) (false returns),2 Chapter 44 or 18 U.S.C. § 1001 (false statements), § 1341 (mail fraud) or § 1343 (wire fraud). Section 287 is preferred to Section 7206 when the defendant pocketed the refund proceeds, because restitution for Title 18 offenses is more readily available than for Title 26 offenses. See 18 U.S.C. § 3663(a)(1). Also see , infra, for a full discussion of restitution for criminal tax offenses. When a scheme involves many false claims, the prosecutor should consider mail fraud or wire fraud charges if they yield strategic advantages. Such situations may include cases in which conspiracy is not a viable charge; when a fraud-scheme charge would ensure the admission of all relevant evidence; or when a fraud-scheme charge would serve as a predicate for the government to charge money laundering, to pursue asset forfeiture or to seek full restitution. If the tax return preparer willfully created a fraudulent refund return for an undercover agent and actually filed the false return by mail or electronic filing, it may be strategically useful to charge the defendant with a substantive offense for filing the undercover agent’s return because the defendant will have no basis to attack the credibility of the undercover agent. The preparer may be prosecuted under 18 U.S.C. § 287 for filing the undercover agent’s false return. knew the return was false is part of the government’s burden of proof. United States v.
Holloway, 731 F.2d 378, 380-81 (6th Cir. 1984). 654 F.2d 671, 682 (10th Cir. 1981).